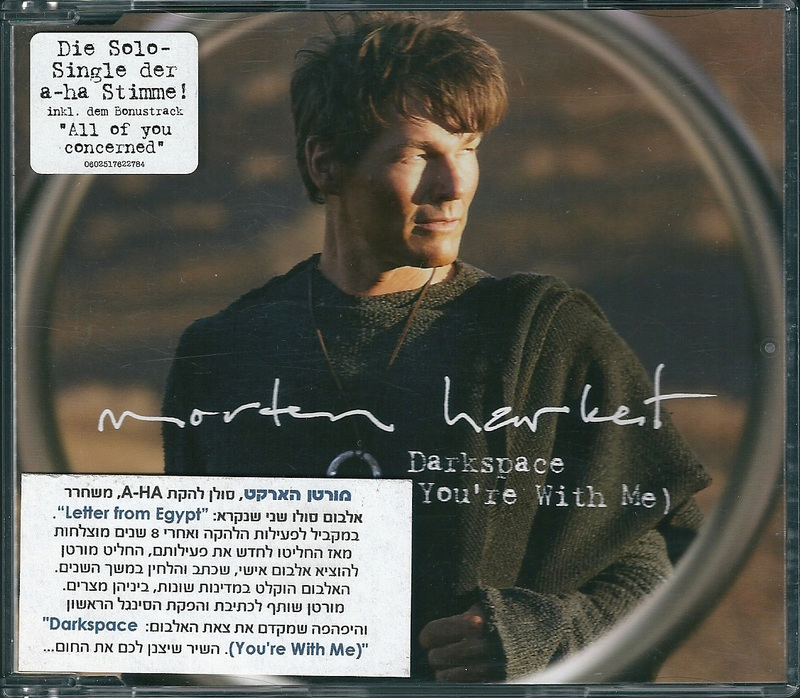 The second track from Morten's album "Letter From Egypt" is "Darkspace". It was initially released to Norwegian radio stations and web stores on 4 April and was released to the stores in Germany under the title "Darkspace (You're With Me)" (3:43) on 16 May. The German release features the exclusive bonus track "All Of You Concerned" (4:21) which isn't included on the album. The cover of the German release features a large silver ring, through which you can see Morten looking over to his left. He is also wearing a large silver ring on his necklace. 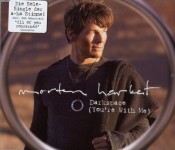 morten harket is printed in white hand written letters across the sleeve with the title in white underneath. A white sticker on the front has "Die Solo-Single der a-ha Stimme! ink. dem Bonustrack "All of you concerned"" plus the catalogue number printed on it in black. The inside of the sleeve features hand written lyrics on a piece of ruled notepaper torn from a pad which is lying on top of acreased piece of paper with a coffee stain. Track information has been printed on a piece of folded paper which can be seen in the bottom right hand corner. 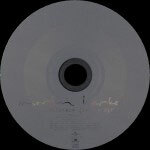 The disc is metallic light brown with morten harket, the title and track information etched into it. There is a one track promo which features the "Album Version" (3.44). It comes in a slim line CD case and comes with a double sided card insert with the same cover artwork as the regular release. The black of the insert features black printed text with the title in a hand writing font. It includes track information plus publishing and copyright information. The text "Not For Sale - For Promotion Only" is printed at the bottom. The disc is silver with titles in black, again the title is printed in handwritten font. "Not For Sale - For Promotion Only" is printed at the bottom of the disc. The German two track single was used for promotional purposes in Israel and comes with a white promotional sticker.